As anybody who’s faced a Thin Man in the wild knows, appearances can be deceptive. 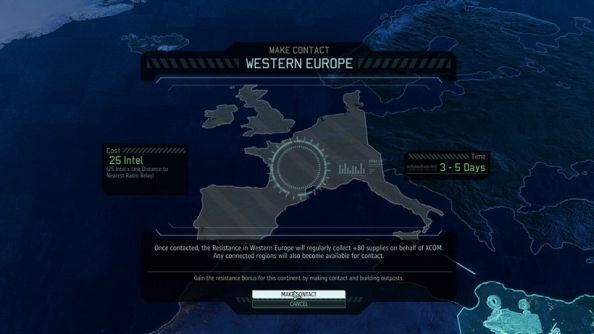 When the first XCOM 2 screenshots emerged, it seemed as if Firaxis had forgotten to research graphics in the three years since Enemy Unknown. But if the textures were uninspiring, it fast became clear that the design underpinning them was incredibly brave. Which two Firaxis games made our list of the best strategy games on PC? Firaxis have thrown out the Earth defence metagame. It had, by the admission of Julian Gollop, just barely come together for the original, and taken Firaxis years and multiple attempts to recreate. Yet here they were, taking down the communications array that had all of XCOM’s parts speaking to one another. XCOM 2 would cast players as the commander of a ragtag resistance force on a future Earth run by an alien administration named ADVENT. And it would come to PC only, with procedurally generated maps. 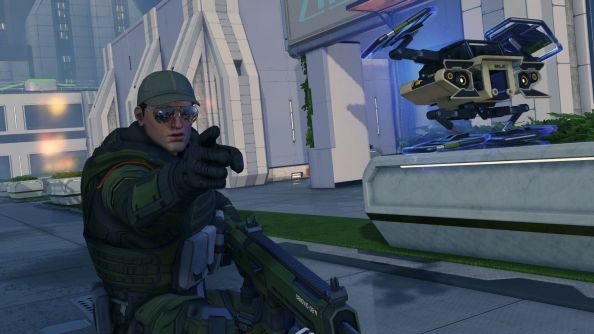 “I agree with you, actually,” says XCOM 2 lead producer Garth DeAngelis. “I was talking about this earlier, that it was sort of a bold move to take for the team. But I am very excited about it, and feel it’s the right thing to do. 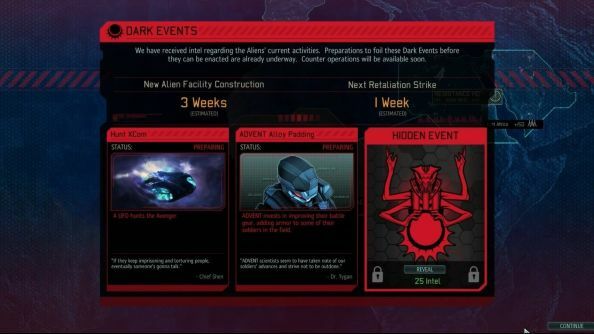 From the beginning, the XCOM 2 team had a design goal to make the global strategy layer more open-ended. What they came up with was the Avenger: a repurposed alien transport ship and mobile base. Players could research, engineer and train, but they were no longer waiting for blips to appear on the geoscape – they were jetting off to new continents, establishing contact with pockets of resistance around the world. And all the while, you’ll be hunted. The aliens who run the world will send UFOs to zap you out of the sky. They’ll manufacture venom rounds to poison your troops. They’ll develop alloy armour to protect their heavily armed police force. In short, they’ll play the game alongside you, and while you can counter some of their efforts, formalised as Dark Events, “you can’t mitigate all of them”. The aliens’ long-term goal, your fail state, will be the one constant between games. The rest will shift with each campaign: your opponents will be stronger in different ways, so there’ll be no tried-and-tested approach that works every time. 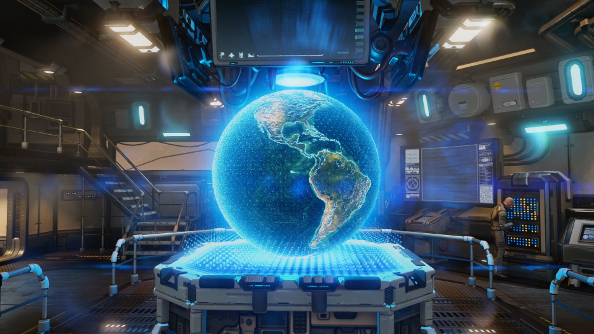 There’s a sense that Firaxis want to do better than Enemy Unknown’s geoscape, which punctuated its invasion calendar with regular alien abductions occurring in three places at once. 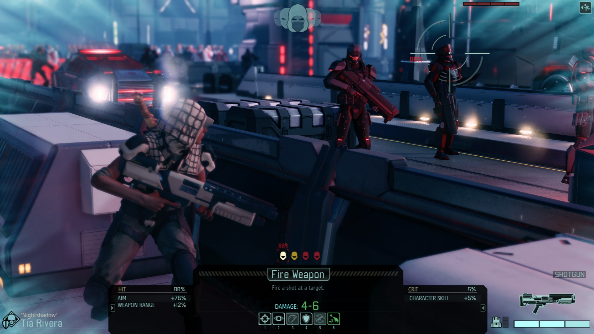 Players in XCOM 2 will still be presented with distinct, difficult choices, but as part of a larger tapestry of unpredictable happenings. Firaxis have wrestled with that balance, between dynamicism and clarity of choice, on the ground too. Not only will the future equivalents of trees, tankers and tombs be dotted randomly about XCOM 2’s maps, but the placement of enemy patrols and VIPs will change too. Whether you’re blowing up a building, protecting a resistance device or hacking a workstation, you’re going to have your objectives jumbled by the procedural system. I note out loud that Firaxis seem to tackling the problems that bothered players who stuck with Enemy Unknown the longest: the sense of deja vu attached to the same smattering of bars, graveyards and petrol stations. The fact that the endgame often ended up a bit of a breeze – a lap of honour around alien alloy corridors. But DeAngelis points out that XCOM still doesn’t “embrace a traditional difficulty curve”. “We want there to be spikes of difficulty with this new system, and it depends on the state of the world and what the aliens are doing,” he says. “It’s not necessarily going to be the game with the hardest late game. It might be, depending where you are in the tech tree. 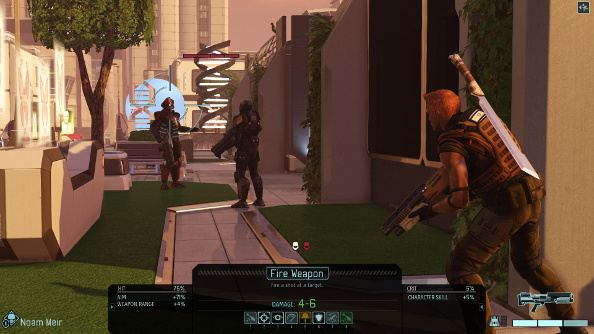 Firaxis see XCOM as a series defined by its difficulty. As one staffer points out to me, probably more games of Enemy Unknown were lost than won. Perhaps this is the truest future they could have imagined for it – a world where Earth’s hastily-assembled international response to an overwhelming menace crumbled long before the point of plasmas weapons and jet packs. Ask any XCOM player for their most memorable moment with the game, and they’ll tell you about an MEC suit specialist slaughtered by a cyberdisc; a crack sniper cut down by chryssalids. Explicitly or not, they’ll tell you that XCOM is about loss. Why not build the sequel around that?